An aerial photograph of Berlin in 1925 highlighting Jewish-owned properties. 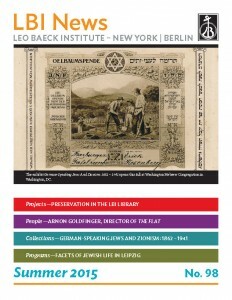 The Leo Baeck Institute will mount an exhibit entitled Stolen Heart based on the exhibition Stolen Mitte: The “Aryanization” of Jewish Property in Berlin’s Historic City Center, 1933 – 1945 which was originally installed at the Stadtmuseum in Berlin in September 2013. Stolen Heart illustrates the “Aryanization,” or the forced transfer of Jewish property into non-Jewish hands, which has yet to be properly recognized and fully documented. Berlin’s central district “Mitte” serves as an example of how the Nazis appropriated Jewish property throughout Germany and German-occupied areas during World War II. LBI will also add a significant and exciting new element to the exhibition. A three-dimensional projection of a map of Berlin will show the city’s development during the Weimar Republic, the pre- and post-World War II periods, the period of division by the Berlin Wall, and today. 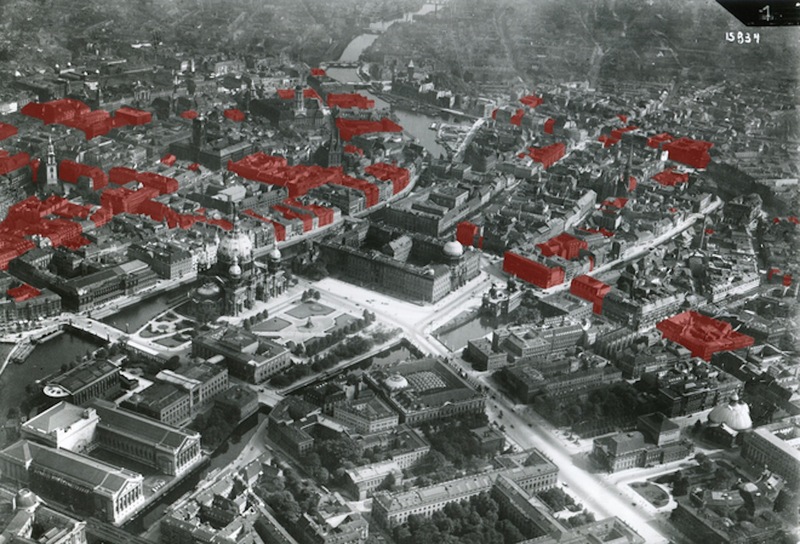 Over 200 originally Jewish-owned properties will remain highlighted to show the role they played in the city’s development after they were stolen.